You might already be familiar with the charming Old Town of Corfu, its stunning beaches, such as Isos, and its delicious gastronomy, but there is so much more to see on the Ionian island. Here are some of the best-kept secrets of sunny Corfu. Built on a steep rock, the Byzantine fortress of Angelokastro, located on the northwestern coast of the island, stands tall at approximatively 300 metres (984 feet) above sea level. Offering splendid vistas over Corfu Town, the island and even the distant mainland, this 13th-century gem is home to a beautiful little church as well as a defensive tower. Despite the many sharp turns visitors must take to get there, the castle is a perfect spot to enjoy stunning sunsets. 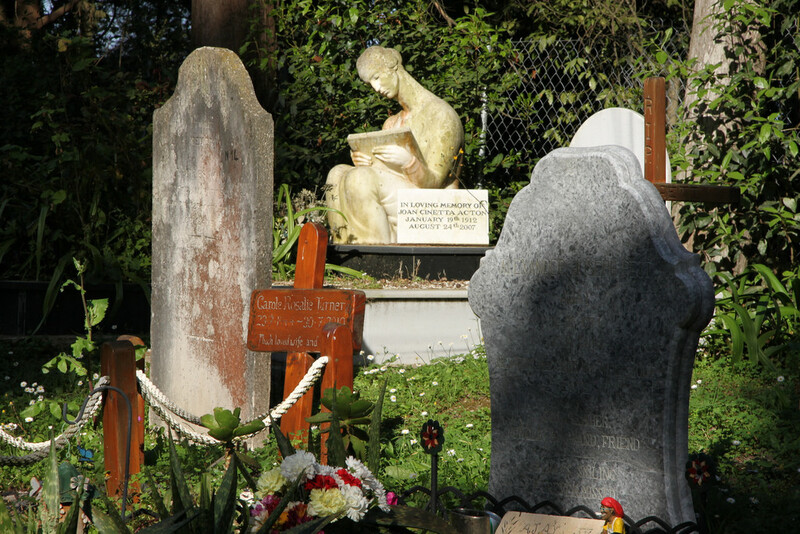 If you know the history of Corfu, you should not be surprised when you come across the British Cemetery in Corfu Town, near San Rocco Square. Established in 1814 when the island became a British Protectorate, the cemetery was the final resting place of British soldiers and officials and residents. Today, it serves as a graveyard for the Anglican community still on the island. You can visit the cemetery anytime you want, but May is definitely the best time; you will get to admire the wild species of orchids that adorn the grounds. The second-largest town on Corfu, Lefkimmi is probably one of the most traditional and picturesque villages on the island. 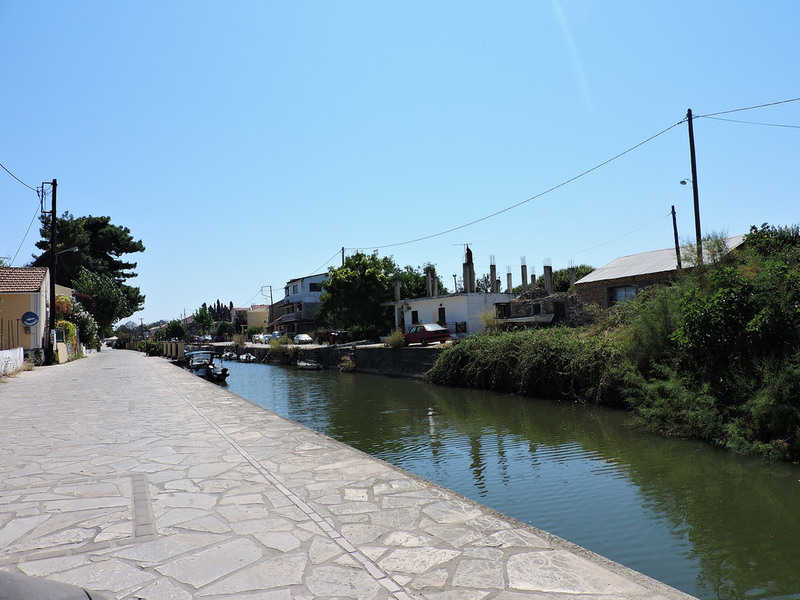 About 40 kilometres (24.8 miles) away from Corfu Town, Lefkimmi boasts astonishing architecture, with tall, Venetian-style houses, quaint squares bordered by cafés and restaurants, hidden churches and a canal connecting the town to the sea. 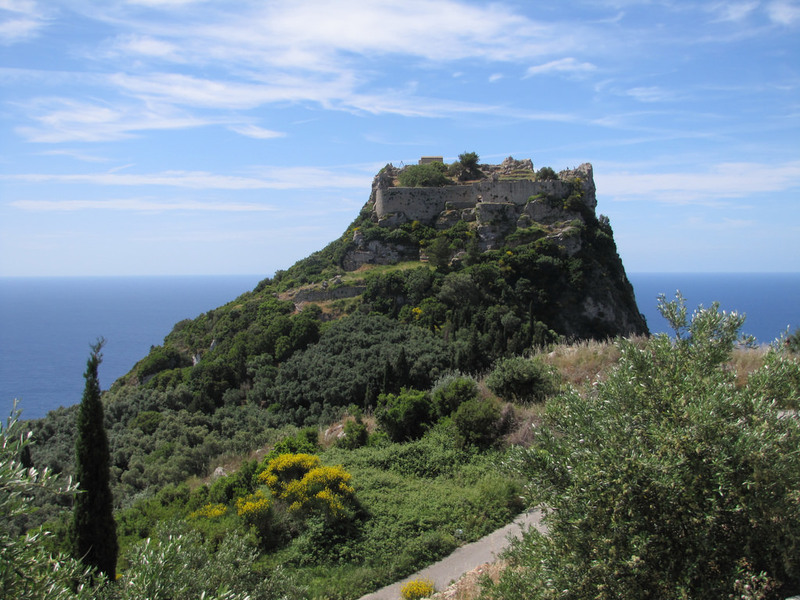 If you think Corfu doesn’t have any ancient sites, think again. Just outside of Corfu Town, you will find the remains of the Temple of Artemis, a Doric temple built around 580 BC in the ancient city of Korkyra, on Analipsis Hill. Dedicated to the goddess Artemis, the temple functioned as a sanctuary. 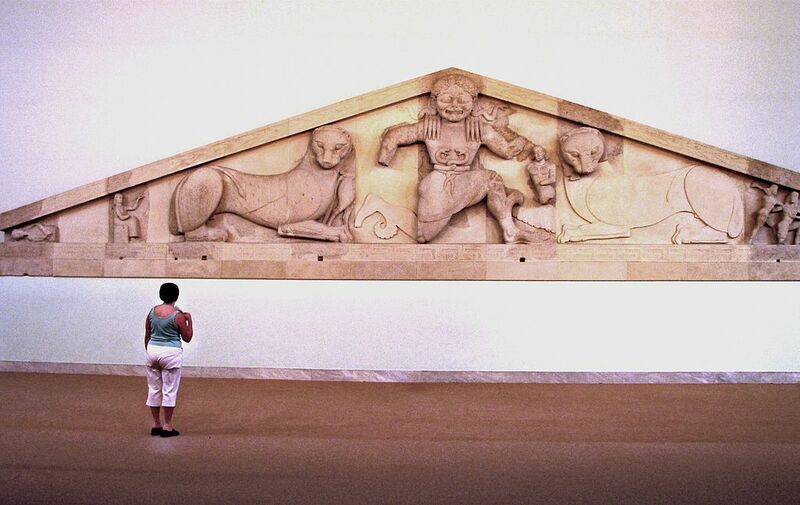 It was also one of the first buildings to include all the elements of Doric architecture, complete with a beautiful pediment, which depicts Perseus killing Medusa, thought to be the oldest of its kind in the country. You can now admire it at the National Archaeological Museum in town. While Corfu is a well-known island, few know about the Diapontian Islands, located northwest of Corfu. These small islands, exempt from massive tourism, are a perfect destination for a day trip (or a longer stay) far from the crowds. Along with the inhabited islands of Othoni, Erikoussa and Mathraki, the cluster includes several islets as well. These islands, which boast wild scenery, hidden beaches and picturesque villages, will offer you a relaxing break. 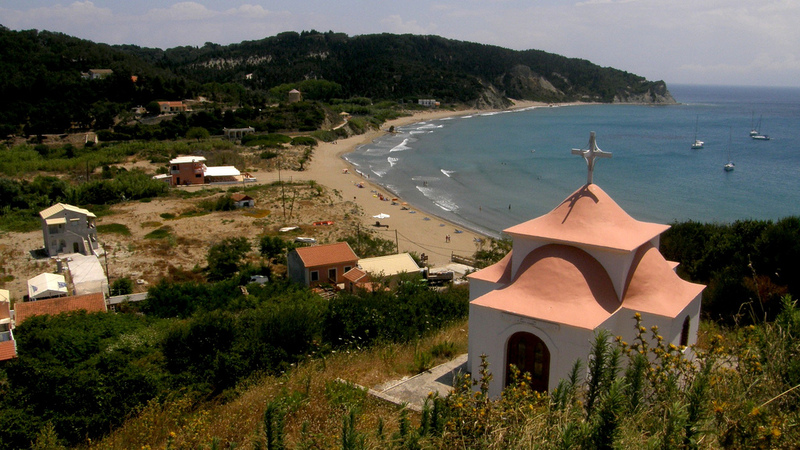 The 14th-century Mirtidiotissa Monastery lies near the beach of the same name, between the villages of Pelekas and Vatos. The monastery, set a few metres above sea level on a mountain slope, was named after an icon found in a cave by Father Daniel, and it sits on the exact spot where the icon appeared. Surrounded by fantastic scenery, the monastery includes a small shop where you can buy local herbs and religious items. Did you know that you can explore many of the marvellous sights of the island by walking? 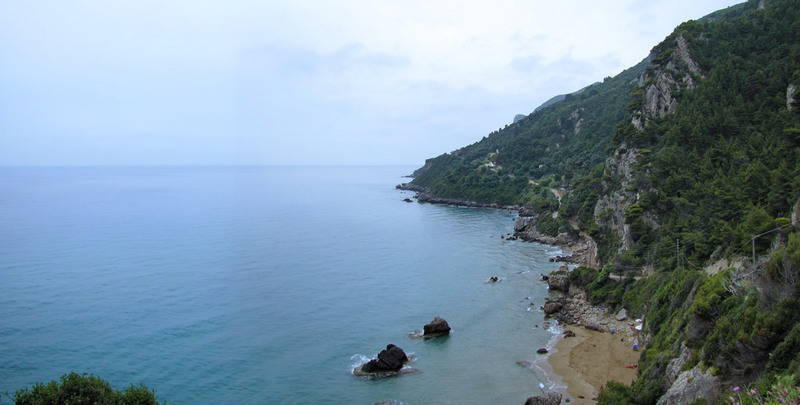 If you are looking for an active holiday, the Corfu Trail is a perfect option. Running from south to north across the entire island, from Kavos to Agios Spiridonas, the trail takes you through rugged mountains, cliff-top trails, dense woods and flowering valleys. You will also discover small villages, abandoned churches and enjoy fantastic views over the coast.